Holmfríðr had this stone raised in memory of Haurr, her husbandman. May God help his spirit. 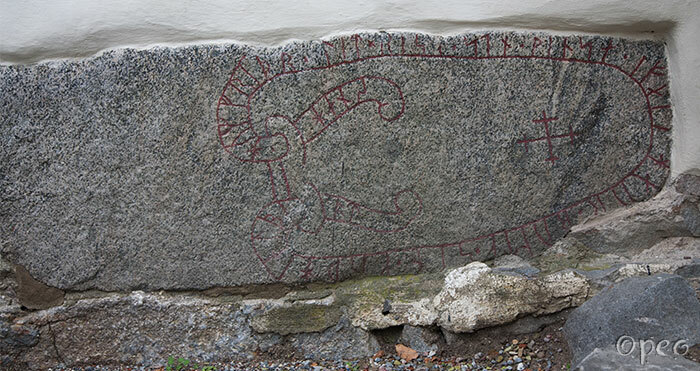 Like U 23, U 26 and U 27, this rune stone is a part of the wall in Hilleshög church. Perhaps there are more rune stones under the rough cast, waiting to be found ?